Why should Historically Black Colleges and Universities (HBCUs) be concerned with diversity planning? Notwithstanding their long tradition of inclusive-excellence, most HBCUs have not formed institutional diversity agendas. But this must change as the demographics of America and HBCUs become more diverse. 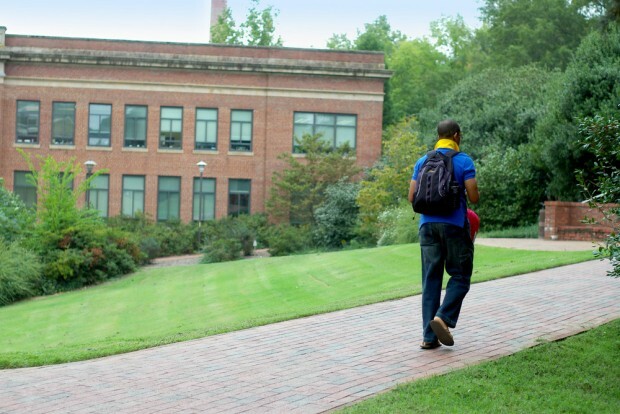 While customary formulations of diversity planning include race, gender, nationality and religion—sexual orientation and sexual identity expression are the most prolific and in need of consideration at HBCUs. The reality is that the subject of same-gender-loving people and lifestyles remains taboo there. A number of reasons have been suggested – among these, a level of social and religious conservatism within the black community. Whereas nearly all majority institutions long ago developed programming and institutional support systems to ensure that same-gender-loving persons are able to live authentically, only one HBCU – Bowie State University – has created a center or dedicated full-time administrative staff to LGBT affairs. And few HBCUs have codified anti-discrimination policies related to sexual orientation. As a result, the LGBT communities within these schools are vulnerable to discrimination and homophobia, forcing many to live in the shadows; masking their identities and suppressing their human potential in order survive. These realities place HBCUs in a vulnerable position and stand in stark contrast to the black community’s movement toward LGBT inclusion, as affirmed by President Obama and the NAACP in their recent statements supporting marriage equality. Campus Diversity Agenda’s HBCU Initiative is to help these institutions to value and validate sexual orientation and identity diversity, and turn what are now enormous losses in terms of human capital into opportunities for increased excellence, both for the HBCUs, for black LGBT persons, and for society. We help HBCUs to optimize their diversity profiles as strategic assets through Design and Assessment of Campus Diversity Agendas—including identification of key issues and leverage points in LGBT student support and institutional policies and practices as part of a holistic institutional diversity strategy.